The India U-20 National Team will be clashing swords with Argentina U-20, Venezuela U-and Mauritania U-20 when the boys travel to Spain to participate in the COTIF Cup – the Mini Mundial Sub U-20 Men’s Football Tournament. The tournament is slated to kick-off on July 29, 2018. Besides, the U-20 boys will also play Murcia U-20, a local side in the tournament.Abhishek Yadav, Director, National Teams said AIFF has drawn up a template where all National teams will be playing International competitions in addition to their domestic schedule. “The COTIF tournament in Spain falls well into our plans and we are excitedly looking forward to it. 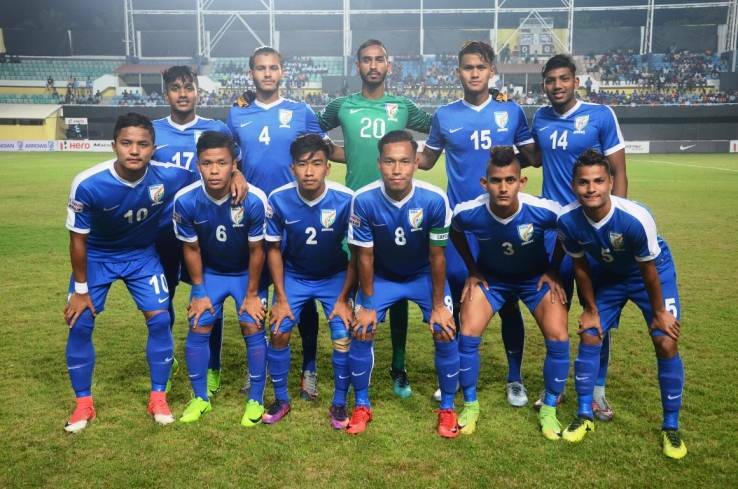 The Sub20 category, India will be up against teams from renowned football powerhouses that will be preparing for the FIFA U-20 World Cup 2019 qualifiers,” he said. “We are pushing the envelope. We have done this with the U-17 World Cup team and are doing it with the U-16 boys’ National Team as well. We will soon extend it to the Female national teams and a fresh U1-5 boys’ National Team,” he stated. The U-20 National Team will comprise of boys who represented India in the FIFA U-17 World Cup India 2017 and boys who represented India in the AFC U-19 Qualifiers in 2017.